Since 1990, Pronto! Plumbing & Rooter has combined the three most important factors to consider when choosing a plumber: excellent workmanship, superior craftsmanship, and fast response time. We approach each service call in a personable and professional manner, and place great customer service and affordable pricing at the top of our list. 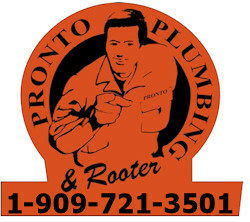 If you are looking for a plumbing or rooter specialist, and you would like to deal with a clean, courteous, smell good, approachable serviceperson who will remove the discomfort usually associated with hiring a contractor, please call Pronto! Plumbing & Rooter today. To find out more, please visit our Frequently Asked Questions and Services pages. You can request service by using our Toll Free number or our convenient online Service Request Form. Find out more about our Plumbing Services... GOT A QUESTION? We may already have the answer! Frequently Asked Questions... Pronto! Plumbing & Rooter is here to help you. 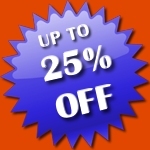 Whatever plumbing problem you have, we will solve it! Please CONTACT US today. It will be a privilege to serve you.